Jesus comes with us on every trip. Praying for safety and that God would move in our midst is common place. Investing in your family pays eternal dividends; one being strengthened relationships. You will be challenged in ways that test your endurance, make memories of a lifetime, and produce extreme accomplishment. The heart of Adventure On Purpose is relationship and our themed trip options reflect our desire to use adventure as a tool to make relationship happen. Help us understand your goals and we can tailor fit the adventure to help accomplish your objectives. Multi-day options are also available. Cost: Up to the first four participants is $1000 for the group. Each additional participant above four (5-12) is an additional $200/participant. Season: Wet canyons March through October. Dry canyons October through March. Emergency Gear: Guides carry a First Aid kit, cell phone, and a SPOT location device. Bachelor/Bachelorette Party – Clean Christ honoring adventure prior to getting married. Let’s get wild, literally! Birthday Bash – Celebrate a birthday the canyon way! Building Men/Women – Canyon adventure focused around building up the next generation and speaking into their lives from a place of experience. Business Bonanza – Meet your co-workers in a whole new world and learn to relate on a completely different level. Business Development – Looking for a way to open doors with a new or existing customer. A day in the canyon will take your business relationship (and possibly sales) to another level. Cold Feet – Canyon adventure for those about to get married. While we adventure we have the opportunity to speak life into their upcoming marriage, discuss what to expect, things to deal with on the front end, and get some tools to start on the right foot. 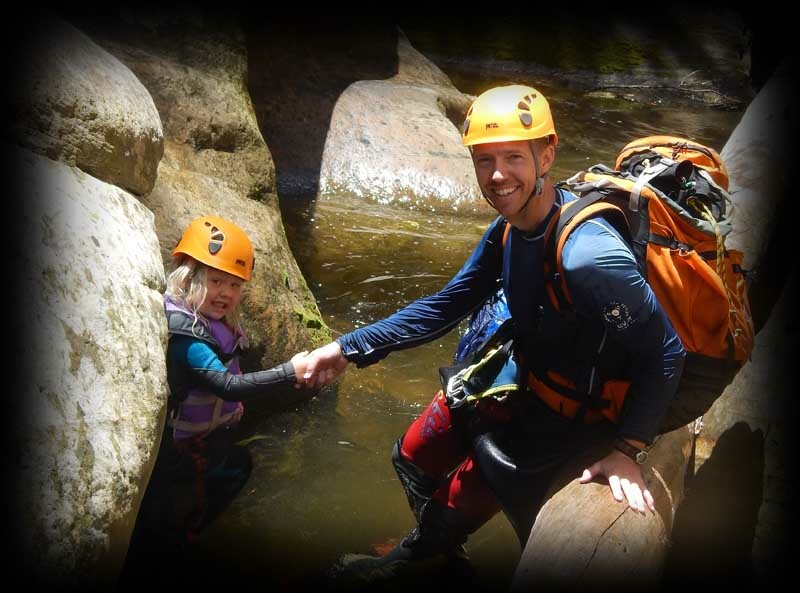 Family Fun – Canyon adventures for families. There is nothing that builds family relationship like adventure. 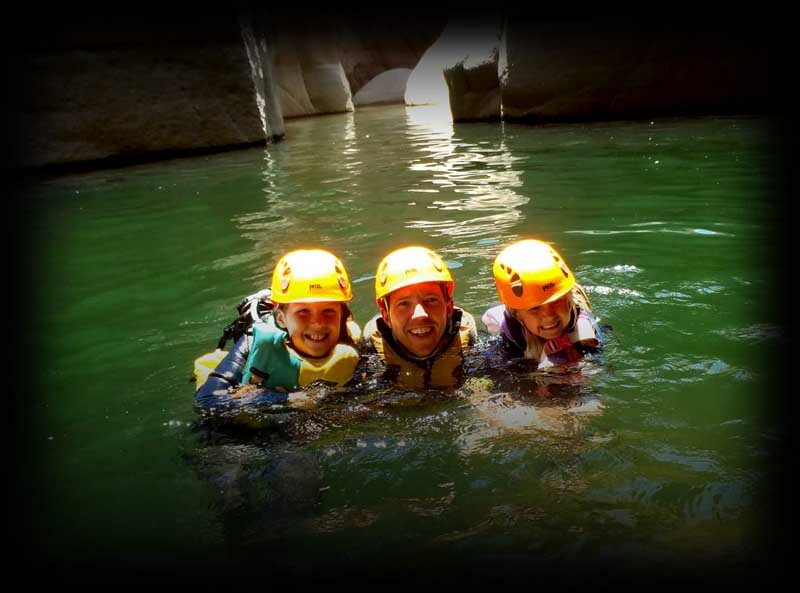 Marriage Matters – Canyon adventure for married couples, letting you provide some of the safety for one another. While adventuring, we get the opportunity to speak life into your marriage and give you tools to make it even more successful. 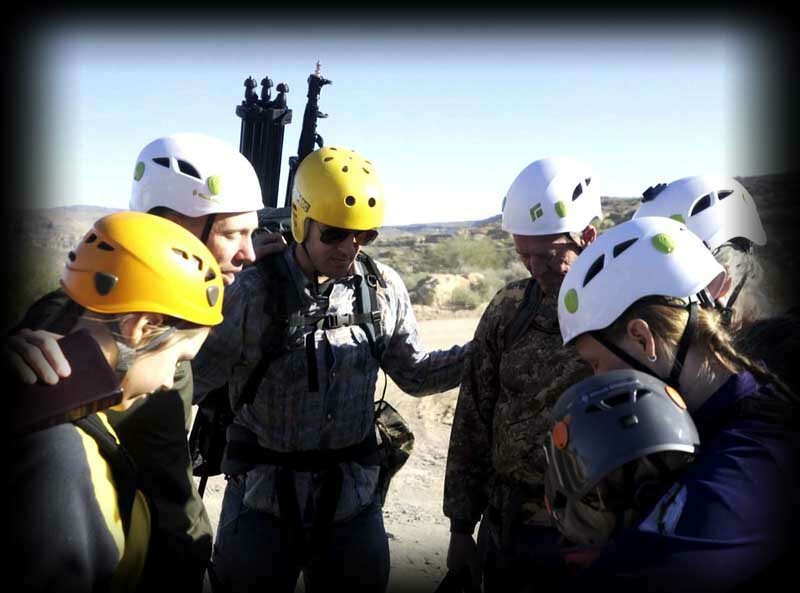 Premarital Prep – Canyon adventure for premarital couples, letting you provide some of the safety for one another. While adventuring, we get the opportunity speak life into your upcoming marriage and give you tools to make it successful. Relationship 101 – Just want to have some fun and make a memory with others. Join us to continue tying those strings. Wedding Wilds – What a wonderful way to get wet and married all at the same time. I've never done anything like this. Can I do this? Absolutely! We have taken kids as young as eight and as old as sixty-three. If you are outside that age range call us and we can talk through the options. Everything depends on your attitude and willingness to try something totally new. We will teach you everything you need to know. What does a typical canyon day involve? If meeting in Phoenix, meet 5:30a and driving by 6a. Hiking toward the canyon by 8:30a and entering the canyon by 9a. Crawling, climbing, swimming, sliding, jumping, and rappelling down the canyon until 3p. Back to the car by 4p and in Phoenix by 6p. Return times are an estimate and will vary due to canyon and participant conditions. 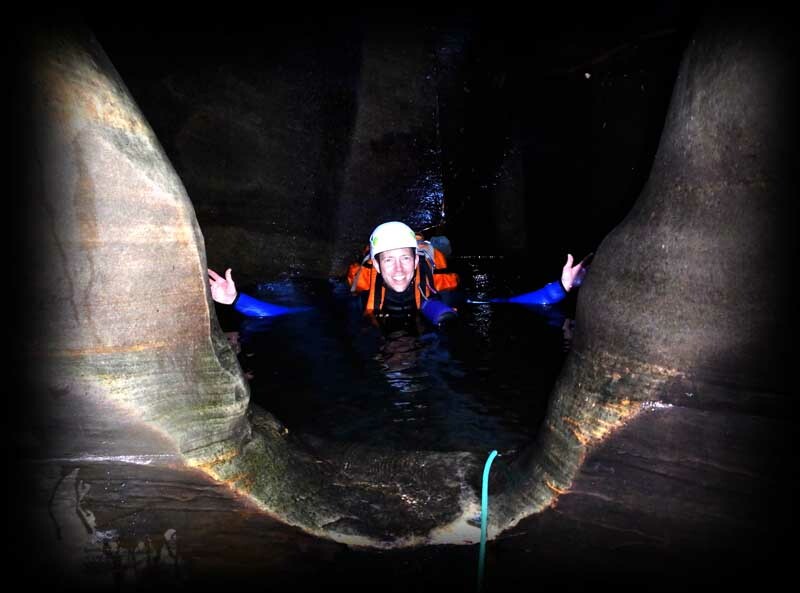 Canyoneering involves putting on a helmet and wetsuit (for water canyons) and traversing a section of river, using whatever techniques necessary to overcome the obstacles found along the way. Techniques used include walking, climbing, jumping off waterfalls, rappelling and swimming. 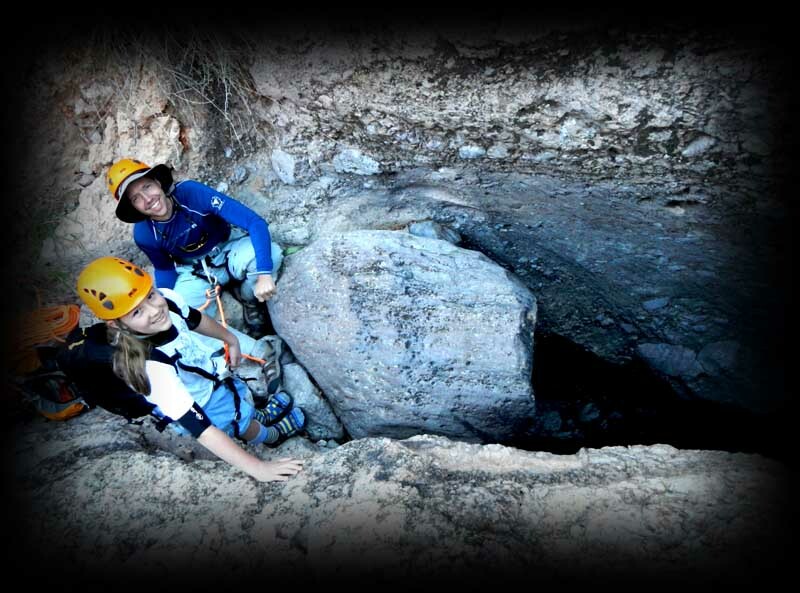 Canyoneering can be dangerous for those without guidance, knowledge or experience of the area, or the right equipment. 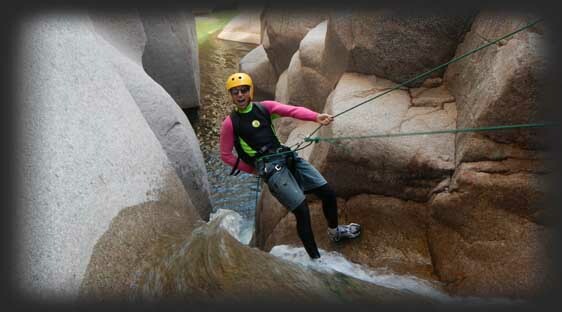 Adventure On Purpose guides possess great skill, knowledge of the area and experience guiding canyons. They are all trained and qualified in Wilderness First Aid, Swift-Water Rescue, and Rappelling. Our equipment is second to none and has been tried and tested for its suitability to the area we operate in. Additionally our operations are subject to regular independent audits. Do I need to be in shape and able to swim? Customers MUST be in shape (no terminal knees/ankles), having the ability to hike the equivalent of Camelback Mountain in Phoenix. Customers MUST also be able to swim when doing our wet canyons. The dry canyons we do in the winter months do not require swimming. Twelve – plus two guides. We provide all the specialized gear you need to wear throughout the trip – helmet, wetsuit, and harness. Something to go under your wetsuit (ex. swim suit). Whatever you wear under your wetsuit will get wet. Dry clothes to change into back at the vehicle. Light clothes in which to walk into the canyon. Shorts and t-shirt or whatever you like. Closed toe footwear that has traction on slippery rocks (ex. Keens or old sneakers). Dry bag ($10 at wall-mart) to store lunch and anything you want to keep dry. A pack to carry water and lunch. The pack will get wet and everything in it not in a dry bag). A hat, at least 90oz of water (in a bladder or water bottles), and sun screen. If you require glasses, you will need to bring a strap to secure them. Any medication you require. Please notify your guide prior to the tour of any medical/physical conditions you feel we need to know about. If you need to bring medication, we can carry it in our waterproof first aid kit. Do not bring anything valuable with you. The river has a taste for jewelry and Swiss watches. Small amount of money for dining on the way home. I have a medical/physical condition; does this stop me from participating? We reserve the right to refuse to take a client on a tour if we feel they are not physically capable of completing the tour. However, we do not ask clients to complete a medical form prior to the tour. We think that if you are well informed about what is involved in the trip, you are generally a better judge of whether you will be able to handle it than we are. Just tell us if there is anything about your physical or medical condition that you think we need to know. For example, if you are allergic to bees, we will be much equipped to deal with the situation of you getting stung if we know about your allergy beforehand. Our tours cater for a wide range of abilities and fitness levels. Please feel free to call us for anything if you have any questions about your ability to participate on a tour. You will be bringing your own lunch to enjoy in the canyon. Can I bring a GoPro/Other Camera? You are welcome to bring your own camera (at your own risk), it will need to be waterproof and it should have an attachment. We recommend not bringing cameras. They tend to get dropped to the bottom of the river and cause injuries when jumping off waterfalls. We take photos of every tour and they are available for purchase ($40 for USB loaded with all the photos of the tour, usually between 100 and 200 photos). Are there fees associated with canceling a trip? Please let us know as soon as possible if you need to cancel your tour or change to a different date. Let us know seven days or more before the trip and there is no fee. Six to two days prior to the trip require a 50% cancellation fee. Within forty-eight hours before the trip requires a 100% cancellation fee. Will the tour run if it is raining? We take our weather seriously and will not allow trips during periods of significant rainfall in or near the drainage we will be in. Canyoneering can be dangerous if there is a chance of the river flooding, so we monitor canyon conditions and predicted rain fall closely. If we are in the canyon and it rains a little that is not a big deal, we are wet anyway in the canyon. 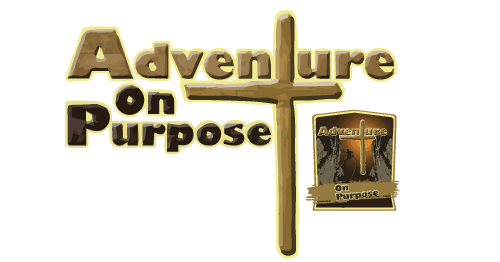 Adventure On Purpose reserves the right to cancel any tours at any time due to unsafe conditions. In this case, customers will be given the choice of an alternate tour or a full refund. Ready to invest into your family’s lives? Sign up for your adventure today!